Eclipse Blackout Masks are training films for your SCBA mask the recreate the sense of operating in densities of smoke. Developed by firefighters of the San Diego area, the masks are inexpensive and reusable. They are available for the SCOTT AV3000 and the MSA G-1. We had the opportunity to use them in a variety of settings including search, ropes, and mask confidence exercises. The stages of the masks mimic completely zero-visibility to minor smoke condition conditions. These masks allow for firefighters to use all of their gear in the same manner that they would during an incident. Instead of taking off the hood and turning it around to blackout the face piece, the firefighter can don all of their gear an then train under the modified vision. 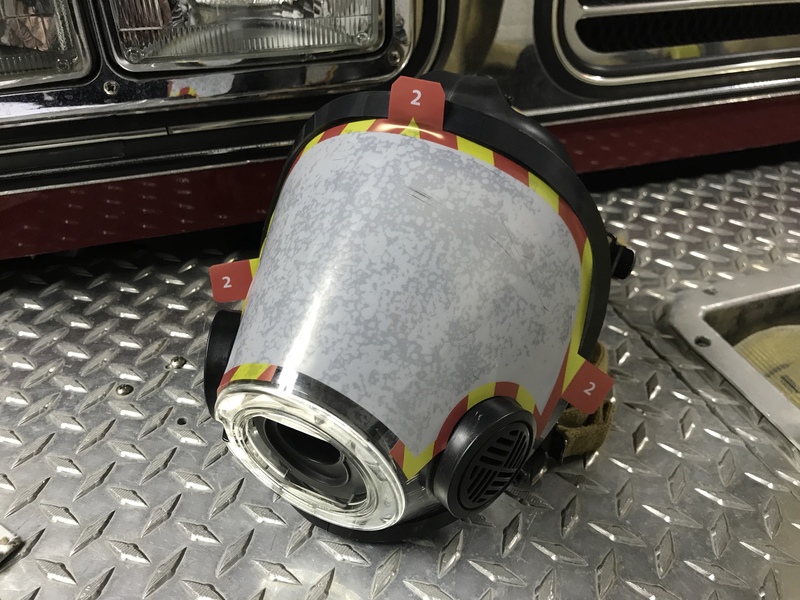 These masks work like static clings and allow you to quickly change the grade of visibility or among other firefighters during training evolutions. The video below shows how the second stage mask affects your vision while wearing it. Make sure to check them out!